Ms. Oury Traoré, from Mali, has 15 years of work experience in Peace and Security in Africa with special expertise and focus on West Africa. Ms. Traoré worked shortly as the Executive Director of Partners West Africa, one of the 20 centers of Partners for Democratic Change based in Washington DC. She worked as the Regional Program Manager of the West Africa Network for Peacebuilding (WANEP – Ghana) – the largest peacebuilding network in West Africa where she led the regional early warning and early response mechanism in collaboration with ECOWAS. Other past employers include the Institute of Human Rights and Development in Africa (IHRDA – Gambia) as a Senior Program Officer; and the Women’s Rights Program of Global Rights (Washington DC) as Program Associate. Ms. Traoré has a sound knowledge of peace and security issues in the West African region and worked mainly in post-conflict countries in Africa as well as with CSOs in Afghanistan, Bosnia and Herzegovina, Kosovo, Yemen, etc. Fluent in English and French, Ms. Traoré holds a M.A. in Sustainable International Development from Brandeis University (MA, US); a M.A. in Human Rights and Democratization from the European Inter-University (EMA-EUIC) based in Venice, Italy; and a B.A. in Sociology from Berea College (KY, US). She also holds certificates in Integrated Mission Planning Process (IMPP) and Gestalt Organizational and Systems Development (OSD). She has published several articles, two compendiums and a book on women’s human rights issues. In 2011, she published a book on Women’s Leadership in Rural Mali entitled: “Women Who Will Not Wait”. Her areas of expertise include: Training, Coaching, Facilitation, Evaluation, Policy Formulation, Civil Society and Organizational Development. 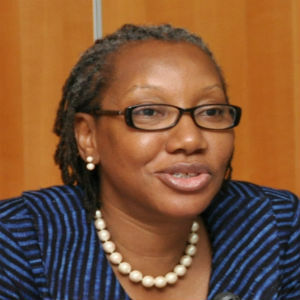 Her clients include the African Union (AU), the Economic Communities of West Africa States (ECOWAS), the European Union (EU), the United Nations (UN), Peace Support Operations (PSOs) Training Institutions in Africa, the African Center for Strategic Studies (ACSS), major Development Partners, International NGOs and African CSOs. The first woman Advisor in the AU Senior Mission Leader (AUSML) Course since 2012. 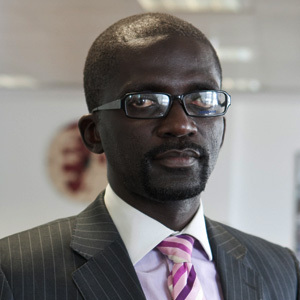 Murtala Touray currently works in London as a Senior Analyst for Africa in the Economic and Country Risk Department of IHS Global Insight, a company headquartered in the US with offices around the world. Before joining IHS Global Insight, Murtala worked with the West Africa Network for Peacebuilding as the regional coordinator of the Early Warning System, with the Economic Community of West African States (ECOWAS) as a short-term consultant and with the Institute for Human Rights and Development and the government of the Gambia. Murtala holds a MA in African Peace and Conflict Studies from the University of Bradford in the United Kingdom, a MA in Semiologie Culturelle from the University of Limoge in France and a BA in Modern Language from Usman Dan Fodio University in Sokoto, Nigeria following three-years of study at the Fourah Bay College, University of Sierra Leone. Murtala has over 10 years work expertise in the field of peace and security, conflict transformation, political and violence risks analysis, NGO management and youth development. Described as a high energy, easy going, and goal-­‐driven technology executive, Peter Klu approaches each new business challenge with his intrinsic flair for innovation, creative problem-solving, and measured risk-taking to drive consistent bottom‐line improvements. Peter Klu began his career on a path that is rare among other IT executives. Having earned his Bachelor’s degree in Physics, minor in Mathematics, and armed with MS in Electrical Engineer, Peter’s goal was to complement his natural technical savvy with a strong foundation in software development and RDBMS. In order to understand the ever changing IT field, Peter needed to gain extensive experiences. The best way to do this, he felt, was to join a Big 8 firm within the IT consulting practice. Thus, in 1998 he accepted a position with Booze Allen & Hamilton where he gained extensive software development and RDBMS experience. Peter left and went consulting for different software companies through his established business. Peter consulted for the likes of Booze Allen & Hamilton, Price Water Cooper, Ernest and Young, Microsoft, IBM, National Defense University and other small technology companies. Peter also worked with Department of Defense – Africa Center for Strategic Studies (ACSS) as their Information Technology Officer (ITO). The Africa Center is the pre-eminent Department of Defense institution for strategic security studies, research, and outreach in Africa. The Africa Center engages African partner states and institutions through rigorous academic and outreach programs that build strategic capacity and foster long-term, collaborative relationships. The Africa Center for Strategic Studies (ACSS) supports United States foreign and security policies by strengthening the strategic capacity of African states to identify and resolve security challenges in ways that promote civil-military cooperation, respect for democratic values, and safeguard human rights. Honourable Emile Ouédraogo is a former officer with the rank of colonel from the infantry corps, specialized in operational intelligence. He graduated as Second Lieutenant from the Ghana Military Academy in Accra/Teshie in 1985. Throughout his career, he has participated in various training courses in the following countries: Mali, Nigeria, Russia, France, Canada and the United States. From 2002 to 2003, Hon. Ouédraogo served as Military Information Officer (G2) in the United Nations Organization Mission in the Democratic Republic of Congo (MONUC/Kananga Sector). In the United States, he participated in the 2007 ACSS “Next Generation of African Military Leaders” course in Washington, D.C., and subsequently served as a facilitator for the Africa Center on several occasions the following years. In 2009, he lectured at the Africa Center on Burkina Faso’s experience with community policing, served as resource person for the curriculum review for the Next Generation of African military leaders program. He was the keynote speaker at the opening ceremony of the next generation of African security sector leader’s course held in Washington D.C. in March 2012. He served as chief of Intelligence Division of Burkina Faso’s armed forces prior to his appointment from 2008 to 2011, as Minister of Security of his country. 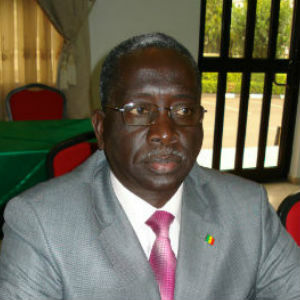 Honourable Emile Ouédraogo retired from the army in 2012 and is currently a parliamentarian in the national Assembly of Burkina Faso and in the ECOWAS parliament in Abuja. Honourable Ouédraogo has received numerous decorations, including The Military Honor Medal, The Police Honor Medal, The Peacekeeping Medal (MONUC), The Alumni Award of the National Defence College of Nigeria and Officer of the National Order of Burkina Faso and has published an article (2014) in Africa Security brief of the Africa Center for Strategic Studies titled “Advancing military professionalism in Africa”. He is a graduate of the National Defense College of Nigeria and holds a Master’s degree in Strategic Studies from the University of Ibadan. He holds a PhD in International Relations at the center for Strategic and Diplomatic Studies at Paris in France. Col. (ret.) Meïssa TAMBA is an Officer from the Senegalese Air Force, who retired in October 2009 after nearly 40 years of active duty. During this long career, he served in many post conflict countries and was posted in various important positions. Col. Tamba was the Director of Military Public Affairs and Information from 1994 to 1999. In this position, he was in charge of the internal and external communications of the Senegalese Armed Forces and was deeply involved in all Military Public Affairs. He was also in permanent contact with the civilian population and international Medias, (radios, newspapers and televisions). From 2000-2003, Col. Tamba was the Chief of Staff of the Senegalese Air Force, one of the highest positions within the Air Force. In this position, Col. Tamba was under the supervision of the Senegalese Chief of Defense Staff, responsible for the maintenance, proper and safe use of the Senegalese Air assets, for military missions and civilian as well. He served as the Military, Naval and Air Attaché in Ethiopia, Uganda, Kenya and Tanzania also as the Military Assistant to the Permanent Representation of Senegal at the African Union (AU) in Addis-Ababa. Since Senegal was the then Member of the Peace and Security Council (PSC) of the AU, Col. Tamba became a full Member of the Military Staff Committee (MSC) which primarily advised the PSC of the AU on activities involving any military actions. As such, he was deeply involved in the deployment of the African Union peacekeeping missions. Furthermore, Col. Tamba served in the African Union Mission in Soudan (AMIS), subsequently in the first African Union (UN)-United Nations (UN) Hybrid Peacekeeping Mission for Darfur (UNAMID), and in the African Union Mission in Somalia (AMISOM) from 2006 to 2010. 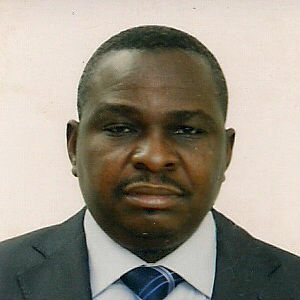 Col. Tamba has also served in two peacekeeping missions under the United Nations (UN) aegis in South Lebanon and Irak. His focus areas are in Conflict Prevention, mediation and Security Sector Reform (SSR). 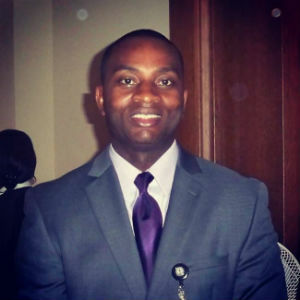 Col. Tamba is currently an associate of the Institute for Pan African Strategies (IPS) based in Dakar, Senegal. He was also a member of the African Union/ European Union’s Team for the assessment of the African Union Peace and Security Architecture (APSA), which reviewed, from July to October 2010, all the regional Economic Communities and Regional Mechanisms (RECs/RM) and the five pillars of APSA such as the AU Peace and Security Council (PSC), the Panel of Wise (PoW), the Continental Early Warning System (CEWS), the African Stand by Force (ASF) and the AU Peace Fund (AUPF). Col. Tamba also co-trained the United Nations Organization Stabilization Mission in the Democratic Republic of the Congo (MONUSCO) Civil Affairs Section in Outreach and Cooperative Planning for Partners for Democratic Change (PDC) in Entebbe, Uganda in June 2014). Col. Tamba has been awarded many Senegalese and foreign medals. General Martin Luther Agwai is the board Chair of the Madiba Institute for Leadership in Africa (MILWA). Gen. Agwai has a long and distinguished military career and dedicated to peace and security in Africa. While, in service he held several staff and command positions both in Nigeria and abroad, culminating in his promotion to four-star rank and appointment as Chief of Defence Staff in June 2006. During this time, General Agwai served as a Directing Staff and Chief Instructor at the Armed Forces Command and Staff College, Nigeria and as Deputy Force Commander of the United Nations (UN) Mission in Sierra Leone (UNAMSIL) where he made a mark when he introduced the ‘Hot Spot’ disarmament that assisted the Mission greatly during the Disarmament, Demobilization and Re-integration (DD&R). He was Deputy Military Adviser at the UN HQ in New York, Chief of Army Staff of the Nigerian Army and Chief of Defence Staff of the Armed Forces. Gen. Agwai was the last Force Commander (FC) of the African Union (AU) Mission in Sudan (AMIS), and the first FC of the AU/UN Hybrid Operation in Darfur (UNAMID). 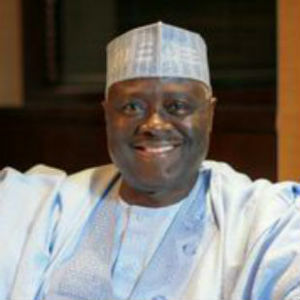 Gen. Agwai holds a post-graduate Diploma in Public Administration with distinction from the Administrative Staff College of Nigeria (ASCON) and a Master of Science Degree in National Resource Strategy from National Defence University in Washington DC where he was the recipient of the Ambassador’s Award for Excellence in Research and Writing, the first foreign officer to earn the award. He has several awards and medals which include the prestigious Nigerian National Award – the Commander of the Order of the Federal Republic (CFR); and the Africa Center for Strategic Studies 2010 Visionary Award, for his achievement in peace and security in Africa.